This bear was taken in northern Minnesota. I watched it climb the tree and stayed with it while he took a 40 minute nap. 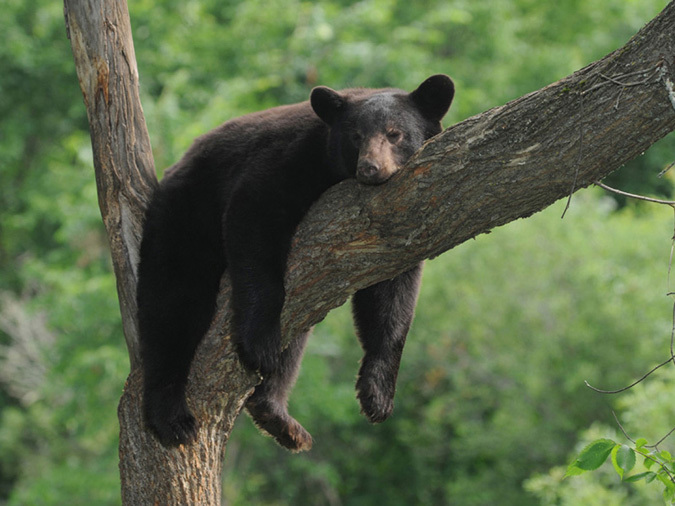 If you look closely at the tree, you can see this bear has taken many naps in this tree. It seems to be shaped to his face. Print is available in three sizes (11″x14″, 16″x20″ and 22″x34″).